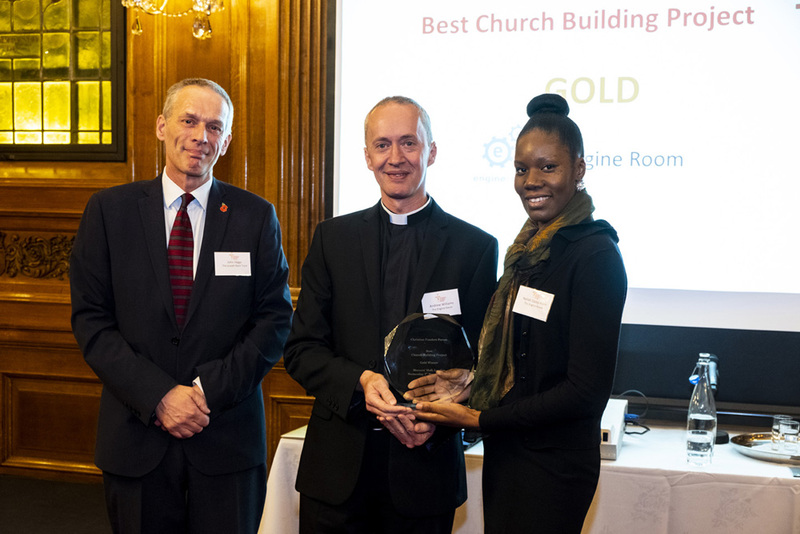 Congratulations to St Francis at the Engine Room, here in Hale Village, for receiving the Gold Award in the Best Building Project category at the Christian Funders’ Forum Awards at Mercers’ Hall in London. The team fought off stiff competition at the annual awards which celebrates the great work done by grassroots organisations across the UK. The awards showcase powerful initiatives that have been at work in communities through the UK and demonstrate how faith groups contribute at least £3 billion worth of social and welfare support to the UK every year, helping 48 million in the process. This award is totally deserved. St Francis at the Engine Room is an important and central part of the Hale Village community.